With all the lighting choices on the market these days it is easy to get confused. Many lights boast energy efficiency and the green aspect of the energy they use, or don’t use, I should say. But which lights are the best when it comes to long-lasting, low energy usage, and true to life color rendering when used in outdoor lighting scenarios? Clients here at Outdoor Lighting Perspectives of San Antonio ask us these questions every day in regards to our incandescent and LED lights, and I want to calm some of the confusion. LED’s are the light of the future. Strides in technology with LED’s are happening right now that will pave the way for the future of LED’s. Although LED is more expensive in its up-front costs of installations, the recoup time on that initial investment is as little as 5 years. When you take the aspect of the “green” technology into this equation the initial expense means little in terms of the environmental aspect they yield. LED’s have an extremely long life of 25,000-100,000 hours. This mean less waste in landfills and less energy expended to change bulbs. LED’s also cost pennies a day to operate. 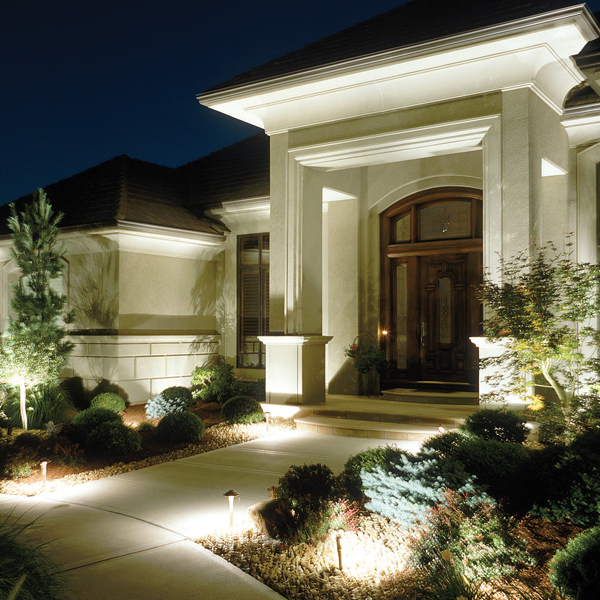 A typical outdoor lighting system costs an average of $100 per year to operate, with LED that cost could be as little as $10 per year to operate. So far, the LED is unmatched in it’s energy efficiency. The color light the LED emits is good, and they have no warm-up time ( like some other bulbs do) they are almost instantaneous ON, and they contain no dangerous mercury. 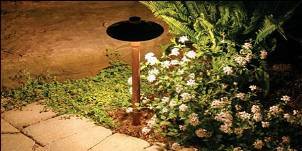 Incandescents are another form outdoor lighting that are usually used in standard line lighting. The energy cost on an incandescent is good . The life expectancy of an incandescent is between 750-2,000 hours. The incandescents brightness and quality of color from the light is very good. Incandescents are a solid choice when lighting pathways and walkways because of their high ratings in brightness and color quality. 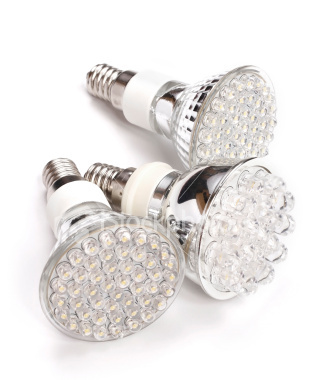 There are other lights such as halogen and ceramic metal halides which are also energy-efficient and have a long life. The ceramic metal halide is coveted for its ability to not produce a color shift over time. It is a very stable light in terms of color quality, and has a life of around 18,000 hours.